Tentatively sneaking in the back door with a Christmas post. 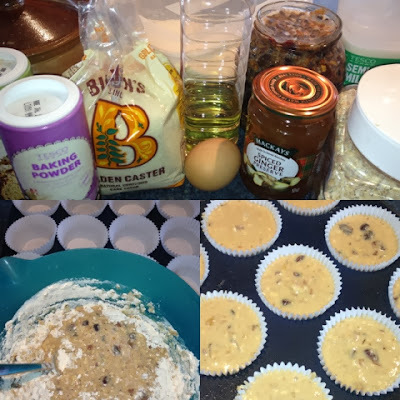 The countdown really is on now and I've been making and baking this week for the Cake & Candy stall at our School Christmas Fair in addition to the Pinnies & Petticoats Cake Club Christmas Meet. A couple of easy ones to start with. No baking skills at all involved in Reindeer Candy Canes but you do need to be a dab hand with a glue gun. Poundshops are the best places to source your candy canes whilst you should be able to get googly eyes, red pom poms and brown pipe cleaners at any craft store. Glue two canes together and leave till set before winding a brown pipecleaner round the bottom half. 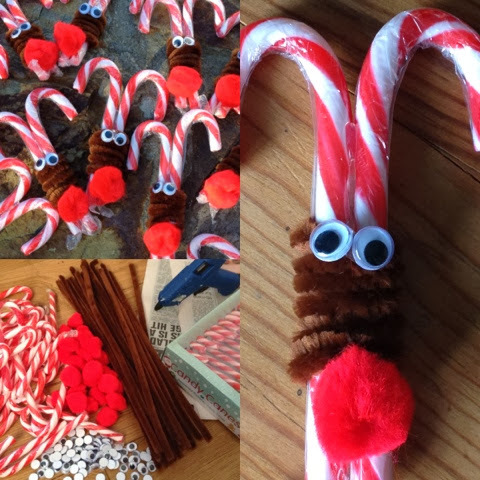 Arm yourself with a glue gun once again and attach a pom pom nose and googly eyes. Rudolph is born. Line a swiss roll tin with aluminium foil. Melt* your Dark Chocolate and add the peppermint essence. Pour and spread evenly over the base of the lined tin and put in the fridge to set. Meanwhile smash up the candy canes in a plastic bag using a rolling pin. You still want to keep some chunky pieces. Sieve the crushed candy canes to separate out the very fine dust from the more substantial pieces. 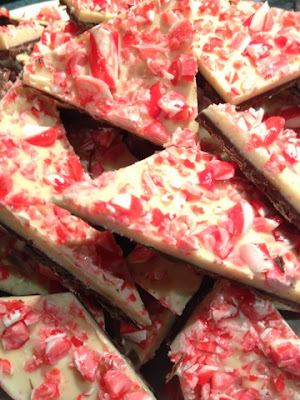 Melt* the white chocolate and stir in the candy cane dust. 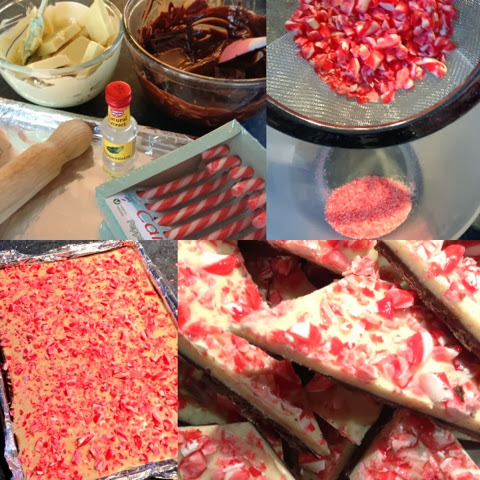 Spread the white chocolate and candy cane mix on top of the dark base and sprinkle with the broken up pieces of candy cane. Put back in the fridge until set and then chop into random shaped pieces. **If you want to have a more professional shiny finish with a better snap you can Temper the chocolate when you melt it but the bark will work fine without. Festive Marshmallow Pops are another very simple but effective non bake. Great fun for the kids to help make too. 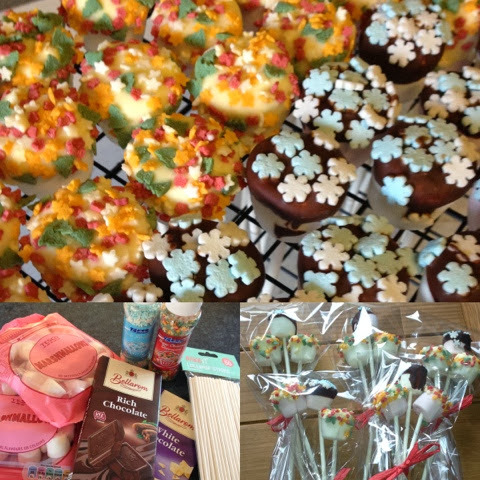 Push a lolly stick into each marshmallow, dip in melted chocolate and top with festive sprinkles. I got these fab sprinkles in Lidl for a bargain price of £1.29 a jar. To allow the pops to dry I stand them in the holes of a wire cooling rack. 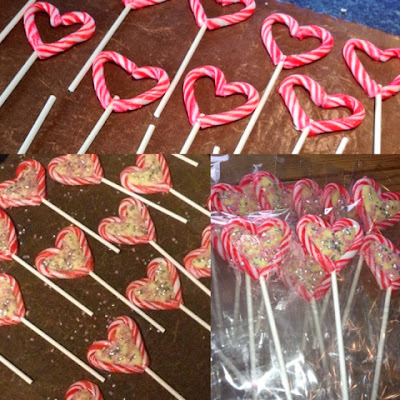 Again sourced from a pound shop I used a pack of mini candy canes to make Candy Cane Lollies. Lay out the candy canes on a lined baking tray with a lolly stick in the middle to form a heart shape. Warm them in the oven until the canes become malleable. 3-5 mins at 180 should do it. Be warned there is a very small window of opportunity in which to do this before they completely melt and I had some casualties along the way. Using asbestos fingers pinch the bottom of the two canes so they attach to the stick and the top so they attach to each other. Ease out the sides to get a good heart shape and leave to cool. Carefully spoon in melted chocolate to fill the hearts and decorate with sprinkles. Next a recipe I've developed for the #ChristmasWithMackays blogger challenge. 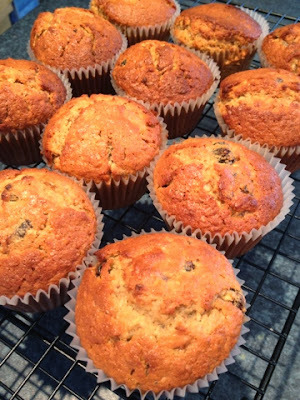 Mincemeat & Ginger Muffins featuring their Spiced Ginger Preserve. These have all the wonderful spicy flavours of Christmas in them. Quicker to make and lighter in texture than a traditional mince pie. You can yous your own homemade mincemeat or shop bought. For extra decadence top with a Brandy Buttercream. Thanks to Mackays for sending me a selection of their artisan preserves to work with. 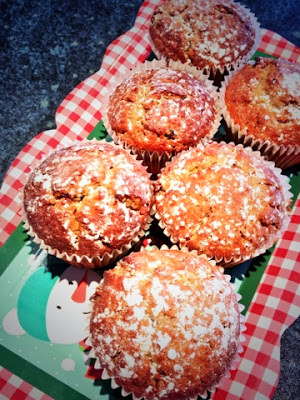 Have a look at my previous #BakingWithMackays blog post for further jammy inspiration. Sift together all dry ingredients in one bowl. In another combine all wet ingredients, including the mincemeat and ginger preserve. Pour wet into dry and mix until just combined. Bake at 200C for 25 minutes until tops are lightly browned. Sift icing sugar over the top for a snowy effect. 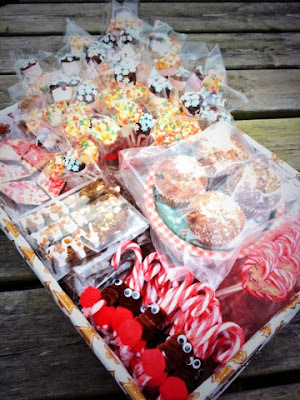 So that's all my Cakes and Bakes packed up for the School Christmas Fair. Some new ones this year plus a couple of old favourites. Hopefully I've provided some inspiration for any bake sales you have coming up. Unfortunately we won't be there on the day as we are heading off to Costa del Peterhead for the weekend. At least it means there will be no upset if my cake and candy doesn't sell. After all that, the festive floodgates must now be well and truly open. Expect plenty more Christmas bloggage over the next few weeks. Only 39 baking days until Christmas! Wow. That's an impressive array! Meal planning Monday - It can't be November? !